With the presidential election fast approaching, interest in the predicted outcome is high. I’m impressed by detailed data graphics on Nate Silver’s FiveThirtyEight blog for the New York Times, not only for their clarity but for his thoroughness in examining the data. 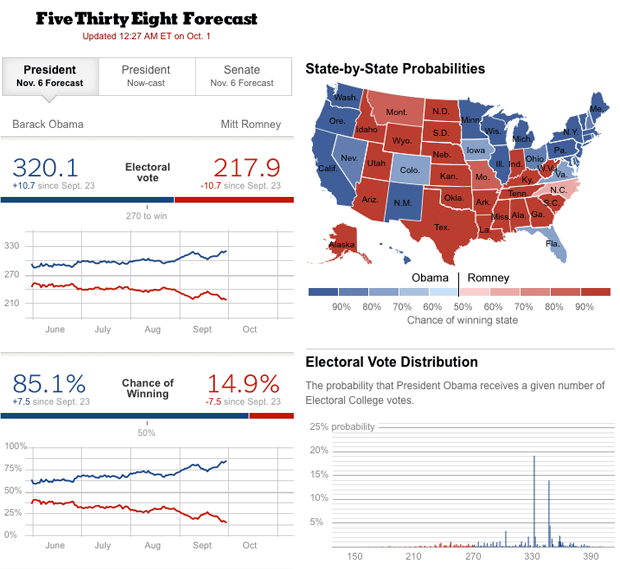 I guess we’ll see about the accuracy of all these predictions after November 6.